A yak in the meadows of Kibber. 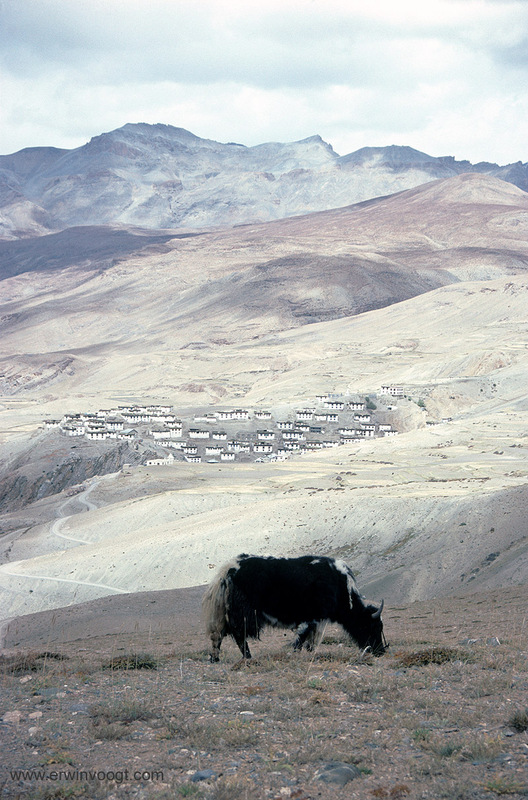 Kibber claims to be the highest permanentely inhabited village of the world. At 4205 meters, over 600 meters above the Spiti river, it definitely is high. Kibber was once part of the overland salt trade.